Astrology is the study of how the positions of the stars and movements of the planets have a supposed influence on events and on the lives and behavior of people. An astrologer looks at the planets' positions and tries to understand a person's character or tries to predict the future. Modern astrologers see astrology as a symbolic language. It is also seen as an art, or a kind of divination. Astrologers often say that the position of the stars help them know the future, but they can not really do it. 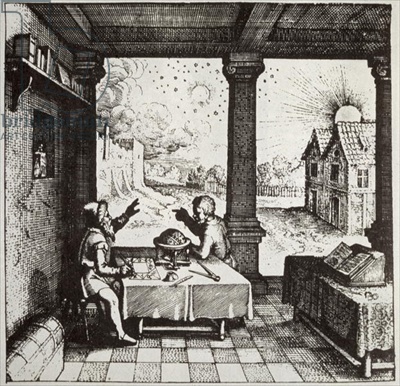 Astrology and astronomy started out as the same thing, but today they are very different. Newspapers will often print horoscopes trying to guess persons future based on their birth sign. A person's astrological sign (usually referring to Sun sign) is based on their birthday. A list of astrological signs is below. Astrology Facts for Kids. Kiddle Encyclopedia.